This amusing action handmade action figure is just the thing for those of you who like Star Trek and Star Wars equally. It’s part of Junk Fed’s Space Madness series, and features an old-school Captain Kirk (complete with ripped shirt) and a matching yellow stormtrooper helmet and a Vulcan lirpa. It’s like that time you got your chocolate in my peanut butter and it tasted amazing. 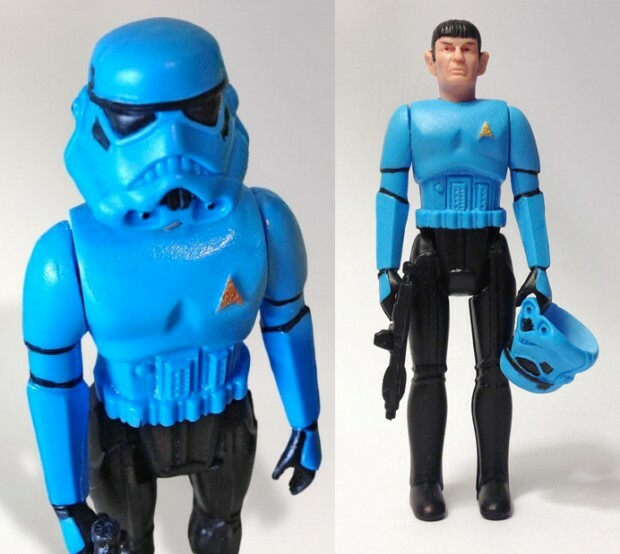 And if you’re thinking the whole idea is sort of random, you’d be wrong. 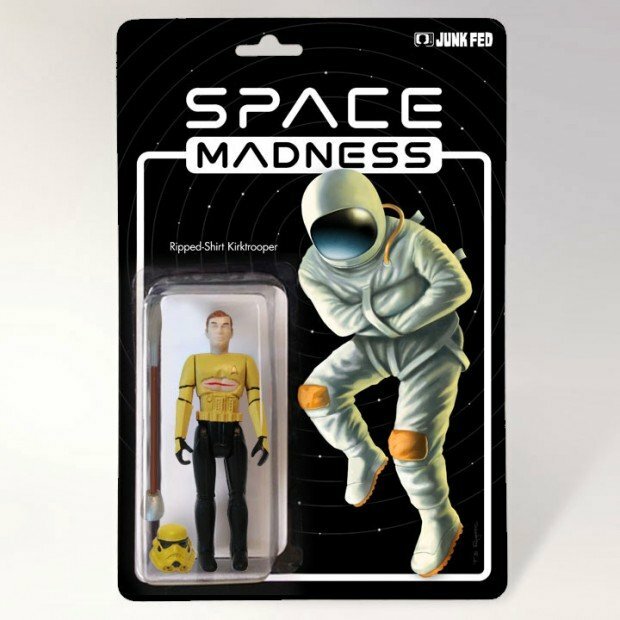 Junk Fed’s previous Space Madness figure – the Imperial Spocktrooper – was so popular that it sold out. 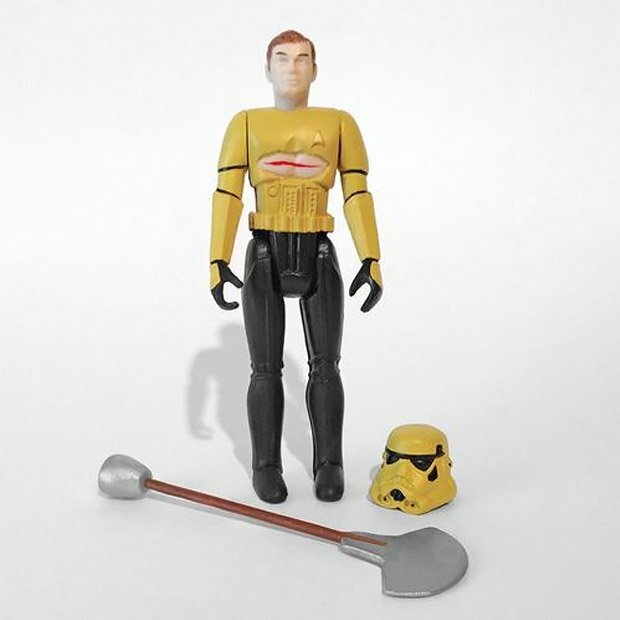 So you should definitely pre-order the Ripped Shirt Kirktrooper before it meets the same inevitable fate.